Doesn't your best friend deserve a new bowl for his new year? 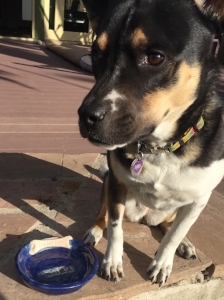 On Saturday, March 10th Mud Lily helps you and your child make a personalized ceramic bowl for your pup, cat, bird or turtle. Enjoy some family bonding time in our cozy pottery studio in La Mesa. We'll guide you in forming and decorating your piece, then fire it for pick up. Enjoy family time for your family pet and join us for this fun clay workshop!